Report: Does Social Media Really Work? Businesses are convinced it's important, but value is hard to measure. Businesses that use social media overwhelmingly agree it is a valuable marketing tool, but many are still hard-pressed to measure the value it brings, according to a new study. The 2011 Social Media Marketing Industry Report finds that 90 percent of marketers think social media is important for their businesses. Named as the top benefits were more business exposure (88 percent), increased traffic (72 percent) and improved search rankings (62 percent). And 43 percent indicated an increase in sales—with self-employed and small businesses more likely to achieve this benefit. Still, one in three participants said they want to know how to monitor and measure the return on investment of social media—the No. 1 concern of participants in this year's study. How to connect and manage social media activities was also a top concern, moving to No. 2 on the list, up from No. 9 in 2010. The third annual social media study surveyed more than 3,300 business owners and marketing professionals to learn how they use social media. Online magazine Social Media Examiner launched the study in January using Twitter and other social sites to spread the word. "Two years ago, businesses were uncertain about social media," says Michael A. Stelzner, founder of Social Media Examiner. 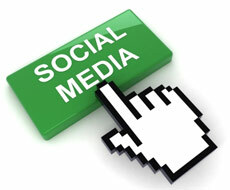 "Now it's here to stay and companies are rapidly responding to new social media opportunities." According to the report, businesses mostly use Facebook (92 percent) and Twitter (84 percent) for social media marketing. But it's clear they are still exploring how to use the various social media channels, with 70 percent saying they want to learn more about Facebook—up from 59 percent in 2010—69 percent indicating an interest in blogging, and 77 percent noting they plan to increase their use of video marketing. One-third of survey participants were self-employed, and another 30 percent worked for small businesses of up to 100 employees. The respondents were split equally among those focused on business-to-business and business-to-consumer. Take advantage of these—right now—to drive your business to new heights. First video in series shows how to inexpensively build a lightbox. Expert discusses effective marketing techniques for independent business owners.